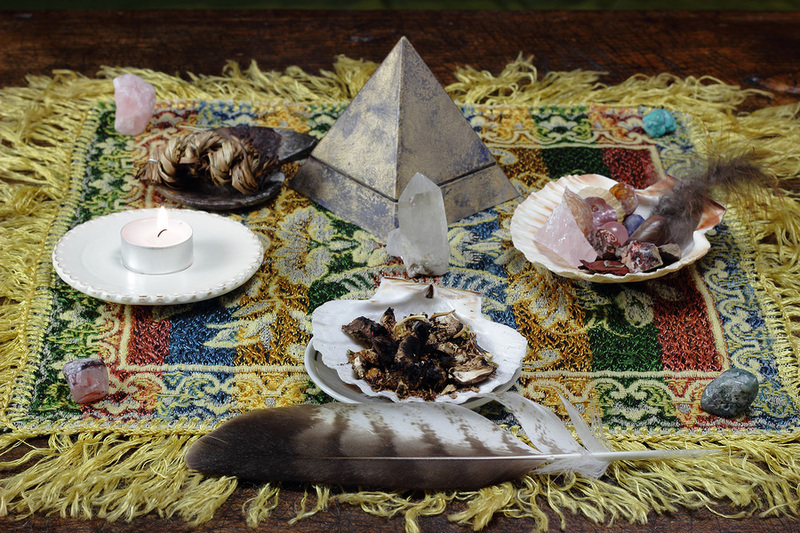 While some magical spells, such as Tarot or multiple candle spells, CAN be complicated, you can also do magical spells that are effective while remaining simple. Our Kindle book 3 outlines a number of simple spells, including using apples magically to get rid of the unwanted such as extra weight, bad debt, bad habits or a health condition, using a magical plate for healing, and getting rid of negative thoughts and emotions with the Firebowl Burn and lots more simple spells and rituals. You'll also find lots of magical information in this book to help guide you in starting a magic practice. For example, do you know the difference in a ritual and a spell? A spell is a psychic or magic operation or formalized intention utilizing a combination of the elements Air, Fire, Water and Earth, forming them into an energy matrix, and possibly programming factors in it to gain force, momentum and overcome obstacles in order to produce a certain result over a period of time. By this definition chants, litanies, rituals, sonics and even prayers are magic spells. A spell will accomplish its goal by taking the path of least resistance unless directors and limiter (what the spell will and will not do) are programmed into it. This means that even if the goal is in accordance with Rules of the Road governing magical practice, the path it follows to get there may not be in accordance and can be destructive. For this reason a spell requires much more planning and is usually a more complex or involved operation. What is a Magic Ritual? A ritual is a type of spell that is usually of the more simple variety. It is typically used more often than other types of spells and repeated even daily to form relationships with and receive guidance from higher beings and powers or to deepen and reaffirm our intentions. Rituals and spells both produce effects that many would view as miraculous, but to higher powers they are normal. Higher powers and beings live on a higher plane than we here on the Earth plane do and the practice of miracles is commonplace for them. Using magical rituals allows us to bring these beings in to guide and help us achieve our desires. This is just a bit of the magic information awaiting you in Learn How to Do Witchcraft Rituals and Spells with Magical Tools. Get the book for yourself and explore all the magic knowledge and try out the magical procedures for yourself. It's an easy way to study magic on your own schedule in your own time.